Scoops "Best stove over 10kW" accolade. 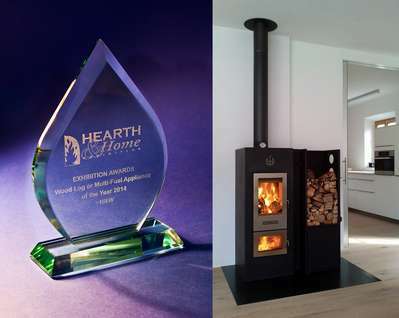 The Walltherm Zebru won the award for 'Best stove over 10kW' at the Hearth and Home Exhibition 2014. With its astonishing 93% efficiency and very low emissions, it is the first ever reverse combustion log gasification stove designed to be fitted into a house. It was really pleasing for us to have this unique stove recognised in this way on the first day that we launched it in the UK.